On a recent Called to Coach: Singapore Edition we spoke with Gallup-certified Strengths Coach, Zai Miztiq. 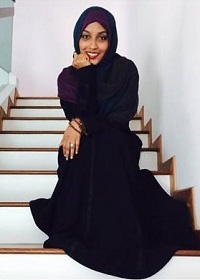 Zai Miztiq is an accomplished entrepreneur. Over the past decade, she has developed successful sales ventures, written and published a book and spoken to audiences in many countries about their passions and dreams. She has even become a mentor to women through the Sisterhood Mentorship Program that she founded to improve the lives of girls and women in Southeast Asia and beyond. In her book, "Turn Your Passion to Profit," Zai instructs her readers to follow the TRUTH system when confronting an issue: Think, Reflect, Understand, Take action and Heal others. In her strengths coaching, Zai encourages individuals and teams to adopt the TRUTH system at work and at home. Zai also helps her clients develop mantras that they can repeat to help them through difficult situations. For instance, one of Zai's clients was a woman with her Master's degree who was struggling to connect with her colleagues and students in an analytical and rigid academic setting. This client had strengths like Empathy, Connectedness and Adaptability that she felt were an obstacle to connecting with others at work. Zai recommended that in those moments where she felt like she was not connecting to repeat in her mind, "I'm practical, I'm practical, I'm practical..." This mantra helped Zai's client overcome her fears and connect with her fellow academics. To hear more about Zai and her coaching experiences and expertise, watch the video above. Visit Gallup Strengths Center to browse our myriad of products, including purchasing Team Strengths Grids, and learning opportunities for strengths-based development. Zai Miztiq is the author of "Turn Your Passion to Profits," a Gallup-certified Strengths Coach, an entrepreneur, business owner, speaker and mentor. Zai owns and operates Miztiq International Pte Ltd. with a mission to empower, educate, and enrich women and youth locally and globally. Zai's top five strengths: Empathy | Connectedness | Ideation | Adaptability | Positivity.